Murray State chief facilities officer David Burdette stresses that the projects’ inclusions in the budget are merely authorizations and that no state money has been allocated to any of these projects. 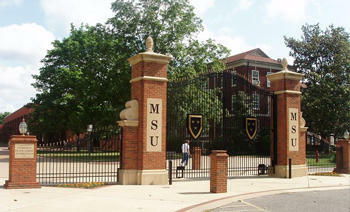 Along with other state universities, Murray State faces a 9 percent appropriations cut beginning next fiscal year. Murray State University officials have banned the use of hoverboards on campus. The announcement comes just as the 2016 spring semester starts and follows a warning from the Consumer Product Safety Commission. A Murray State University professor is spearheading a study on the movements of Asian carp in Kentucky Lake.